← Doorway says ‘Bye Bye Blues’ and gets in the Pink…..
(Editor’s note) Last week, there was a creative writing session at the Thursday Doorway drop-in session. One of the guests, who often joins in the creative writing session when it is running, asked Doorway’s CEO Lisa what he should choose to work on. “Write me a letter”, said Lisa. And so he did, revealing deep personal issues – a tribute to the trust he has in Lisa, and the way in which the environment in the drop-in itself, and specifically in the creative writing session, can enable guests to open up in a way they may have not done before to other agencies. There are a lot of people here that have lost their way in life because of the anger in them and the violence, also the loss of their family. My family lives in ___________ and we have lost touch. I am a very emotionally abused man. I am a transvestite, and the female side of me has been totally ignored and hurt, and I feel fury. I really respect you Lisa and the rest of the staff for what you do for people like us. Some people don’t understand that and take advantage of your good will, but patience is a virtue. 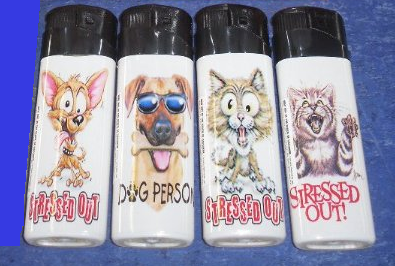 I know you love animals, that’s why I show you my lighters. I am on the way to sorting my vet bill out. All I want to say at the end of the day, is THANK YOU. This entry was posted in Chippenham, Homelessness, Mental Health, Wiltshire and tagged Charity, Chippenham, Creative writing, Doorway, Homeless, Homelessness, Mental Health, Transvestism, Transvestite. Bookmark the permalink.